Do Solar Panels Make Your Property More Valuable? The one question that many of those new to renewable technologies ask is whether having something installed, especially popular technology like solar panels, will have an adverse effect on the value of their property. There has been much debate on this subject over the years but little in the way of research. The general consensus is that it should add to the value of your home though there are a few caveats. For instance, what happens if you have elected to take on free solar panels by giving up your access to the Feed in Tariff and are therefore tied into a lengthy contract? Are buyers less likely to be interested or does it have no effect at all? Back in 2012, the Daily Mail was warning that surveyors were advising against buying houses that had ‘free’ solar panels installed as you might not have been able to get a mortgage and were unlikely to benefit from the Feed in Tariff for the length of the contract which could be as long as 25 years. A few years later MP Greg Barker was in a little trouble for suggesting that installing solar panels on your roof was better than investing in a pension and would give you a more equitable return. 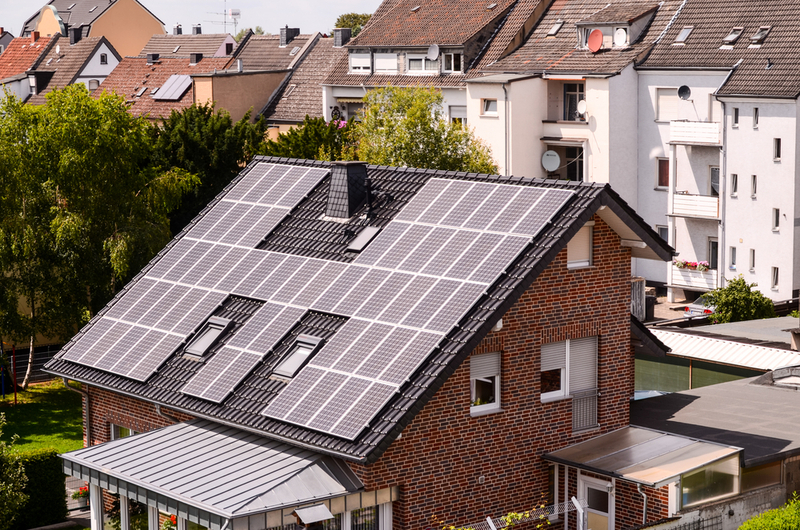 Despite the growth in popularity of solar energy in recent years it’s still a debatable question as to whether having panels installed will increase the asking price of your property. If you have paid for the installation yourself and can pass on the benefit of the Feed in Tariff then it may well be that many buyers will be open to spending a little more. The age of the installation and the size of the array will obviously be taken into account. A bigger installation that is ideally placed has more potential for yielding a profit than a smaller one that perhaps doesn’t’ get enough sun. With gas and electricity prices both set to rise despite the recent cut back by energy companies, the value of having your own renewable source of electricity could well become greater in the future. If installing solar panels does not exactly increase the saleable value of your property, at least not at the moment, then there is little evidence that it decreases it either. According to the housing website Your Right Move, an increased price often depends on whether the estate agents recognise the value of renewables or not and there seems to be a fair amount of disparity between different organisation and individuals. One area where solar panels may well have a positive impact on property prices is with commercial premises. A recent report by Solar Century suggests that installing sizeable solar panel arrays can increase the property value by providing additional income streams. Whilst the valuation of properties is still a little sketchy, more and more companies may well be enticed into having installations because of government initiatives such as the Feed in Tariff and the move away from solar panels on farm land to those on the roofs of office and industrial buildings. Particularly if you have a large amount of space, the initial investment is outweighed by the return for commercial premises which may well be able to benefit from a significant additional income stream that could range into the thousands after the array is paid for. Yes, the jury may still be out about how positive solar panels are for your average domestic holding, but certainly in the commercial market there are indications that it is more advantageous than not on property prices when they are installed. The smart money says that, in the future, the same will follow if you have installed solar panels on your home and have paid for it yourself – it’s simply a matter of time. The trick is to make sure that you have the right array for your property and that it produces a decent return on investment. Find out more about choosing your solar panel installer here. Previous PostPrevious Say Hello to Flow a Micro CHP revolution has begun!